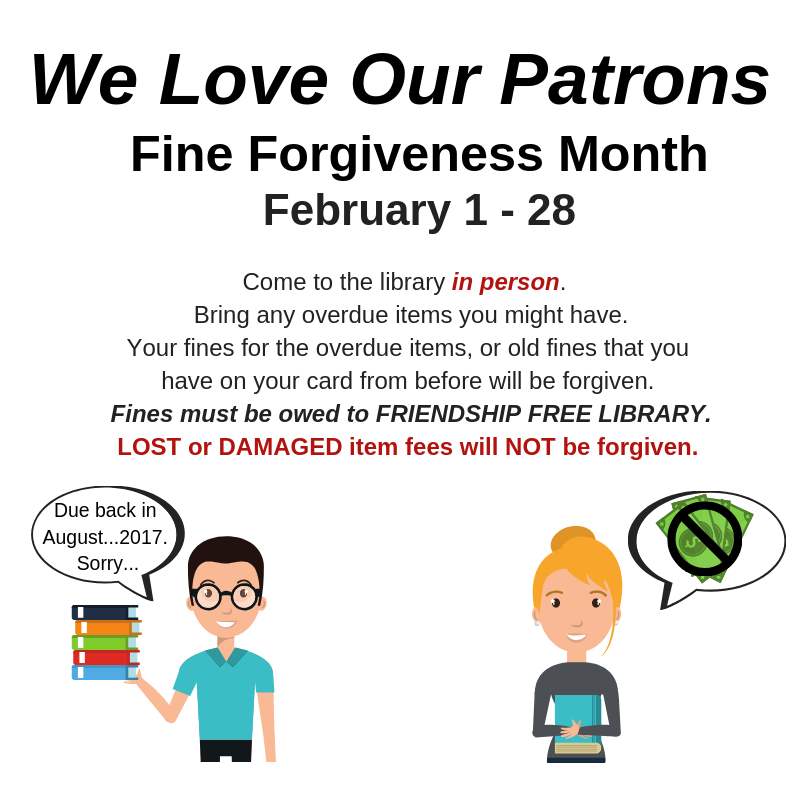 Come to the library during the month of February with those late items you have and get all of your fines forgiven! We will also forgive any old fines that you have on your card from before. Fines must be owed to FRIENDSHIP FREE LIBRARY. We will not forgive fines owed to other libraries. We will NOT forgive fees from LOST or DAMAGED items, those must be paid for in order to replace the items.